Wolverine is returning to the Marvel Universe and Marvel Comics has now debuted Logan’s new look. Marvel today announced that Declan Shalvey (Moon Knight) will join Charles Soule on Return of Wolverine #2-4. As part of his work on the limited series, Shalvey has designed a new “black suit” costume for Logan. 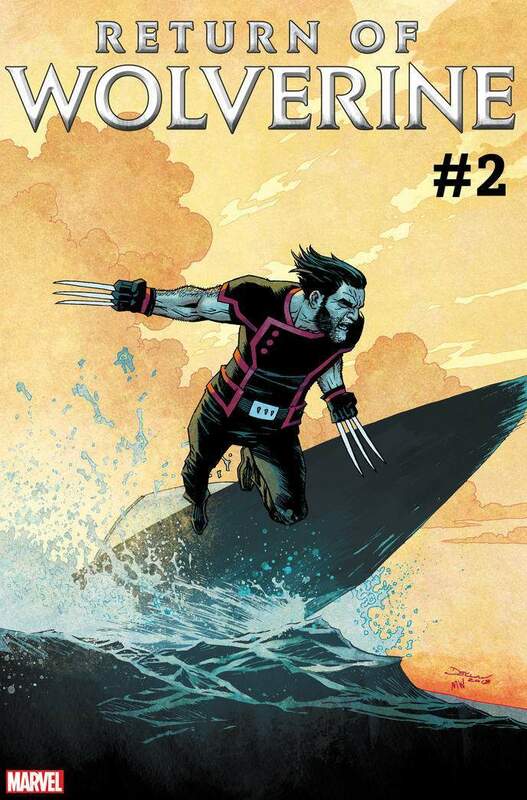 Take a look on Shalvey’s variant cover to Return of Wolverine #2 below. "I'm really excited to be part of this story and getting the chance to work with Charles and the absolute legend that is Laura Martin,” Shalvey says. “I've always dreamed of drawing a Wolverine book someday, but never thought I'd get to be part of such an important Wolverine epic, not on a project on this level. I'm very humbled that the team at Marvel would consider having me be a part of all this. The scripts are really interesting and I'm curious to see how Charles' plans will develop. The book has been a blast to draw so far, I've never drawn so many claws in one book before! I hope everyone likes my take on all the characters as I have very big Steve McNiven shoes to fill. No pressure!" Steve McNiven provides the art to the first issue of Return of Wolverine and will return for the fifth and final issue of the series. What do you think of Wolverine’s new costume? Let us know in the comments!